You must make reservations at least 5 minutes in advance of the time at Rooftop at Bobby. Kicking off on May 8, Bobby's Rooftop Music Series will feature artists in an intimate setting once a month, including Lilly Hiatt (May 8), Elizabeth Cook (June 12), Israel Nash (July 10), The Dip (August 7), and Bobby’s second annual AmericanaFest Showcase (September 12). 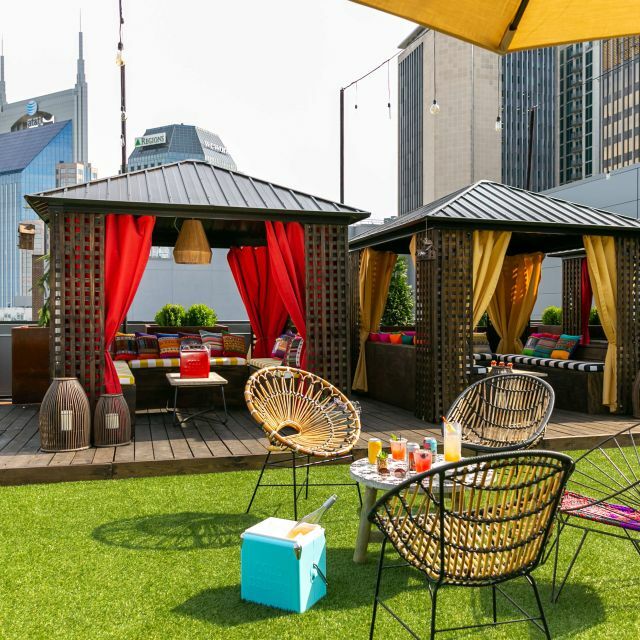 Rooftop Lounge at Bobby Hotel turns into Bobby’s Backyard for the summer — the place to be for an afternoon filled with games, cocktails and bites — all with undisturbed views of Nashville. 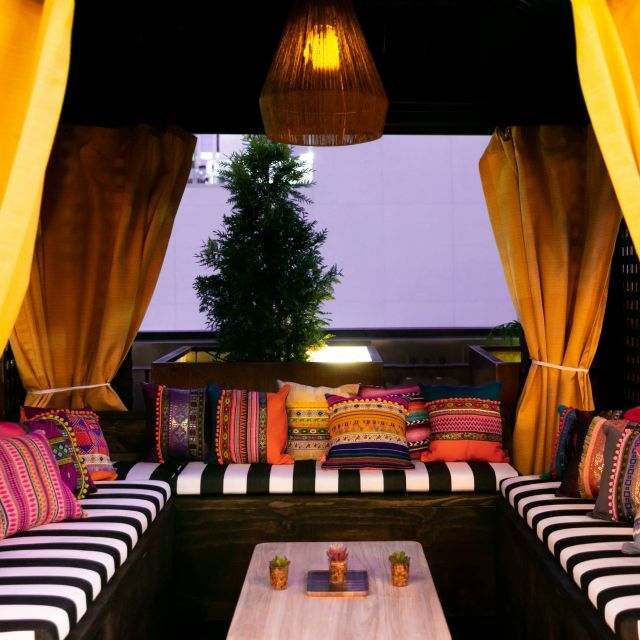 Private cabanas and communal seating is available for you and your crew. 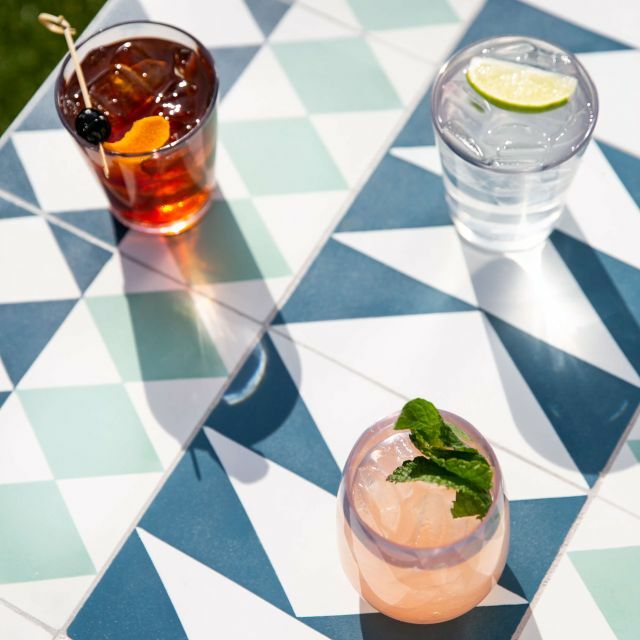 We’re serving up a new menu of cocktails and backyard bites while you play a game of Bocce or test your skills of Jenga. Rooftop Pool is available to hotel guests only. We brought 12 people for a birthday! We had a great time! We enjoyed the experience. Lauren our server was awesome. The food and drinks were great. If it hadn't rained we could have moved around the roof top more. The rooftop was extremely overpriced considering the quality of food and beverages. Everything was served in plastic, the drinks were premade and could not be altered in the slightest, the curling didn't really work and because the employees already knew this, it is neglected and not really meant for use. The seating in the igloos is uncomfortable and the igloos themselves are pretty cheap. The quality of food was not good (we ordered the cappa, nachos, hummus, olives) and considering the cost was a minimum $400 the quality simply wasn't there, especially with the nachos. 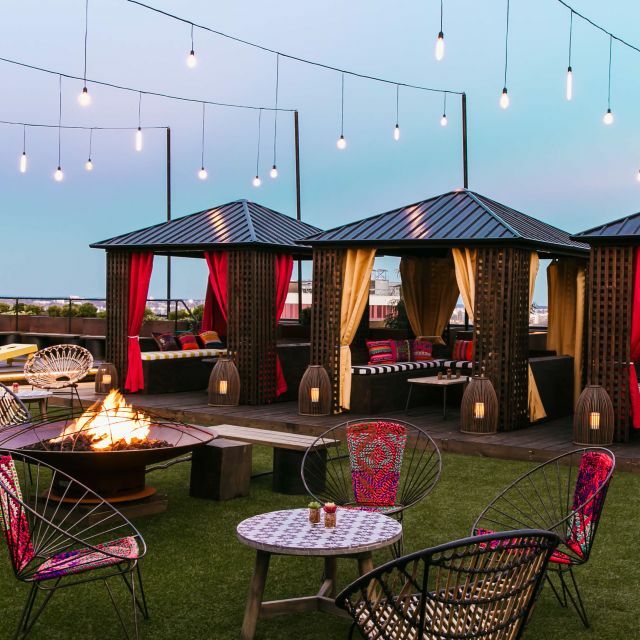 Save your money and get a better rooftop experience at any of the more beautiful locations in the city. It was a wonderful time! We loved it ❤️❤️ It was perfect for a winter night! It was great! We had a blast celebrating three Birthdays! We had an amazing time in the igloos! Great ambiance! The food and drinks were so good!! Rented an igloo on the rooftop of Bobby Hotel and it was such a great experience. Food was great, drinks were delicious, service was superb! The igloos are a blast...great new way to enjoy our city and rooftops despite the cold weather. Josie, our waitress was outstanding and did a phenomenal job in keeping our group happy. The food and drink quality were mediocre for the price. 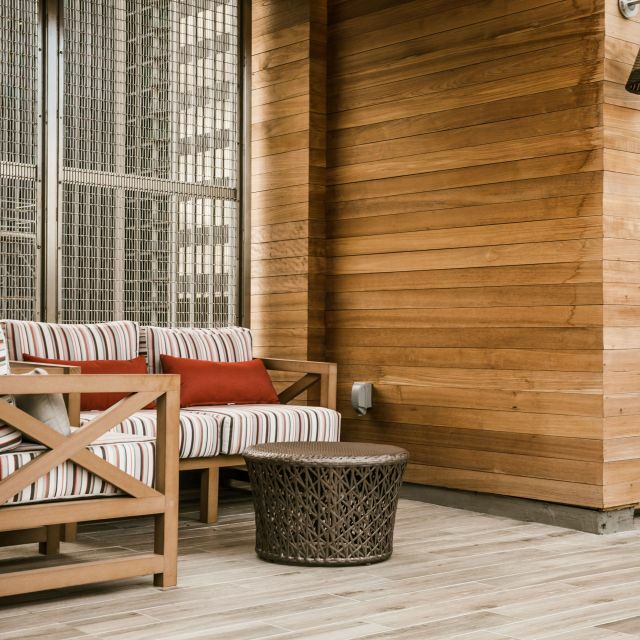 Not many food options on the rooftop, especially with a minimum purchase of $400. 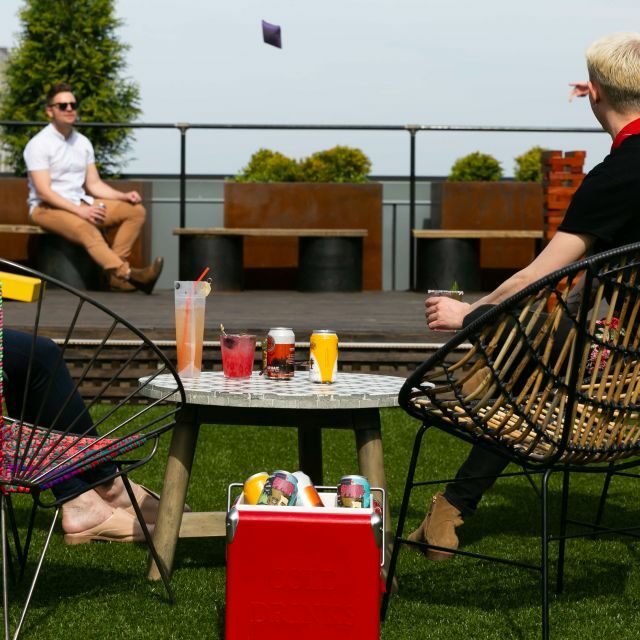 Fun atmosphere on the rooftop bar but the $750 charged for the igloo is not worth the money. Very very limited food menu and even with 8-10 people it’s almost impossible to drink enough to meet the $750 minimum. And be aware if you reserve it for the 10:00 seating, the kitchen closes at 11:00. Go to the rooftop, it is cool to see but skip reserving an igloo. Drinks that were supposed to be hot were cold. Only batch cocktails. No short ribs in the short rib nachos. Goat cheese was good.